This book covers all aspects of the prevention, diagnosis, and treatment of stroke, offering an integrated perspective that will be relevant to a range of specialists. 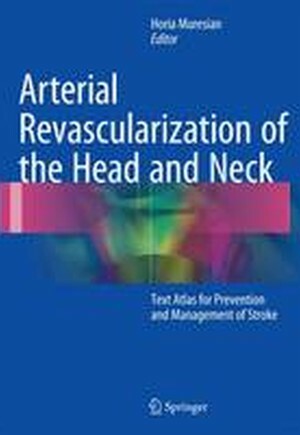 Extensive consideration is given to the different methods of stroke prevention and arterial revascularization, with up-to-date information on pharmacological measures and clear presentation of endovascular stent placement procedures and surgical techniques, including those involving the carotid artery, vertebral artery, and aortic arch. Complex procedures, such as simultaneous bilateral carotid revascularization, are discussed in depth, drawing on a large series of cases and setting out practical rules. The diagnosis and treatment of intra- and extracranial aneurysms and the management of cervical trauma are examined fully. In addition, the reader is provided with guidance on characterization of the culprit lesion by means of different imaging modalities and with advice on the importance of a multidisciplinary team and combined approaches (endovascular and surgical), identification of risk factors, anesthesia, neuromonitoring, and hemodynamic monitoring. The book will be of value not only for cardiac and vascular surgeons but also for cardiologists, neurologists, neurosurgeons, anesthesiologists, anatomists, specialists in diagnostic imaging, and interventional radiologists. The cerebral circulation.- Cerebral vascular territories and the major neurovascular syndromes.- Stroke subtypes.- Surgical approaches for cerebrovascular revascularization.- Diagnostic approach to cerebrovascular disease: ultrasound.- Endovascular approach: from diagnosis to therapy.- Diagnostic approach to cerebrovascular disease: ct and mri.- Pharmacological measures for the treatment and prevention of stroke. The choice of initial therapy.- Anesthesia for carotid surgery and stenting. Neuromonitoring and perioperative care.- Carotid angioplasty and stenting.- Carotid endarterectomy.- Vertebral artery revascularization.- Extensive cerebrovascular arterial revascularization.- Cervico-cerebral arteries dissection.- Extracranial carotid and vertebral artery aneurysm.- Asymptomatic carotid and vertebral artery stenosis.- Lessons from experimental-induced atherosclerosis - valuable for the precision medicine of tomorrow.- Choice of the proper therapeutic measure in the individual patient and prevention of stroke.